Plus updated links, new popouts, plus tons of little tweaks and edits that synergize to improve overall quality and accuracy. The book reads, looks, and flows better than ever, giving you a richer, more rewarding WordPress experience. 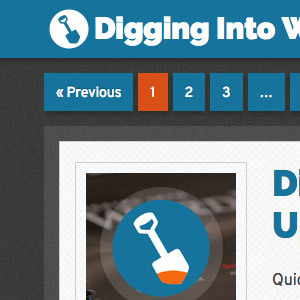 So you can learn how to WordPress in style. For more details, visit the Errata & Changelog page. Current members can log in to the Members Area immediately to update the new version (for FREE). New to the book? Learn more and check out the free PDF Demo. The PDF version is available now. For $27, you get over 400 pages of full-color WordPress action, plus free lifetime updates, exclusive themes, and everything else. It's the best deal around for learning WordPress. Already bought the book? Awesome. To get the new version, log into your account at our new Members Area and download at your convenience. 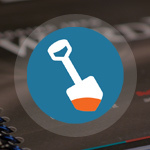 Just apply that coupon during checkout to get Digging Into WordPress v3.4 + lifetime updates and all the trimmings for only $20. Discount valid until October 12th, 2012. We don't have any specific numbers or dates at this point, but we'll post an announcement here at DigWP.com. We also have a notification list to receive an email once the new printed books are available. I never got an account when I bought the book. Tried to reset password but my email isn’t in the system. Did I miss something? Not sure, but if you send us an email we’ll take care of you. Thank you! This book is a MUST HAVE for any WordPress developer / designer. This looks awesome! Looking forward to checking out the book. I’m tempted to take advantage of the special on the PDF version, but might be interested in adding the physical book later. Is there a discount on the hard copy for those who have already purchased the electronic version? Thanks for all of the hard work putting the book together – it looks great! I humbly submit that this book needs to be made available as an epub edition. PDF files are to ebook readers and tablet devices what fixed-width websites are to mobile browsers: an exercise in pinch-and-zoom frustration. That widescreen edition sure is beautiful on a 27-inch display, but it’s unusable and therefore unreadable on my Nexus 7–unlike each of the other ebooks by O’Rilley and A Book Apart that I’m currently reading. The net result is that I’m less inclined to try read your otherwise superb content, which is bad for the both of us. Hopefully I’m not the only one who shares this opinion. I’ll have me a hands on copy if there is one going spare! 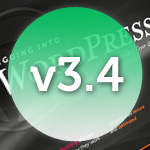 Thanks for the update and all you do to help the WordPress community grow and flourish. An updated version…in print…would be sweet! It would be sweet to win a printed copy. Awesome update for the book! The new book looks fantastic. Oh, I want one… a nice old-fashioned paper version that don´t require batteries. When is the extended edition coming out? What about the Holiday box set with the blooper reels and interviews with the writers, where can I pre-order that? Awesome..thanks for the continued efforts in keeping this up-to-date (along with free updates for previous purhases). Great work! With the continued updates, this has been the best value for any development book I’ve ever purchased. These guys know their stuff, and how to take care of their customers!! The updates look really great! Can’t wait to check out this book! Aspiring theme developer here, very excited about the new book coming out! I purchased the pdf about a month ago and would love to win a hardcopy. 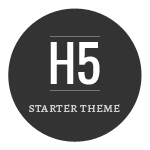 With the help of your book I was able to very quickly create my own theme and now have three (selectable) themes on my blog with plans to keep creating more. I’ve learned a lot in the process. Thanks for all of the great info and inspiration! 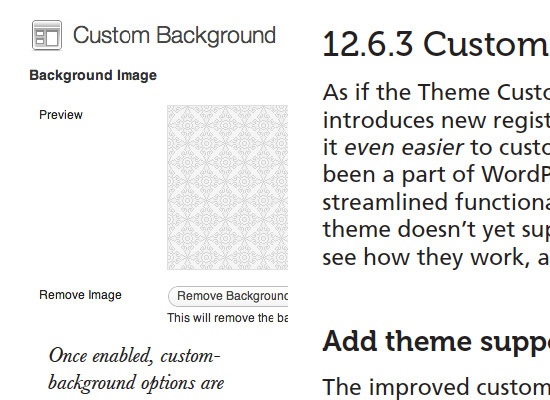 Hate to sound stupid but what does “Each book includes our exclusive themes & free lifetime updates” mean? I bought the printed book a couple of months ago…how do I update it? Phenomenal book; definitely looking forward to seeing the update and widescreen version in a few seconds. A hardcopy would be sweet. veeeery good. Got mine right now! Awesome, I can’t wait for the printed version!! I’d like to voice my looking forward to e-book reader friendly version as well though. I have a nice, steadily growing Kindle collection and PDF just doesn’t quite do it there. Great work Jeff and Chris. I think it is time I considered getting the analogue version. Thanks for all you do for the WP and .htaccess community. Can’t wait to read the new version! Still needs updating on the Envato marketplace. So looks like next week at this point if everything goes accordingly. I’ll be in! Would be great to get my hands on the hard copy. Fingers crossed – pick me! Hmm, interesting, would have to take a closer look and probably buy an e-book. Trying to widen the work area from e-commerce to also classic web pages and web presentations and WordPress seems to be the only option. Would love to win a printed copy! Who wouldn’t? Hey! I am just getting into developing for wordpress, this book is ideal for me! I hope I win this comments competition, thanks for all the hard work on writing this! Looking forward to reading the new version! I just bought the ebook and can’t wait for the print… Great Work!! Congrats on new edition. Looking forward to reading through it. Recommend it to all the students in my workshops. Looking forward to the hard copy soon. Gotta be in it to win it. cool! I bought this book and it has only been a great help, never leaving my desktop! I’d be interested in pre-ordering the print version so I can get my hands on the PDF now, and get the book in the mail when it’s ready to ship. Any chance? Looking forward to getting my hands on a copy! You guys rock! Cant wait for the new book to print. I want it so bad. Woohoo! That is awesome! I’m a hopeless newbie who wants to learn more so that I can not only support and design my own sites, but possibly branch out and do others as well. I’ll be buying the PDF anyway, but hope to win a hard copy too! Will definitely see if I can get my hands on this to help my work. Always wanted to build my own WordPress Theme, hopefully this book will help me do that. Your book sounds awesome; I’d love to win a copy! 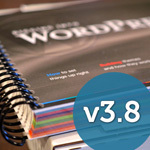 Often when you purchase WordPress (or Web design) books, they become out of date within a few years due to a new version of WordPress, or other software, being released. This is the best thing I like about DigWP is the free lifetime updates, so it is always in line with the latest version of WordPress. I’m waiting for the print books to come out, as I don’t always have a great deal of time to read eBooks on the computer, a hard copy I can take around with me anywhere. 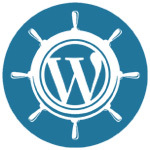 Also I really love the WordPress tips and tricks which you post on the blog. Keep up the good work! I am excited to hear this!! Looking forward to the book as a recommendable resource to colleagues. great work This looks awesome! Sign me up for a chance to get a free copy please. I’ll probably buy the PDF anyway but there’s no substitute for a physical book. When is the book coming out??? Looking forward to the print edition. There’s no substitute for a real page-turner. Do you have any early info on pricing for the print edition? Just wondering how it’s going to compare to PDF. And also – do you ship internationally (Europe)? Would love to be included in the contest! and by the way thanks for the awesome work! I have been watching this booking for a long time and figure it’s time to jump in. I would love to win a copy of the book, so I don’t have to give up groceries for a week to buy one! (1) Sweet, updated edition–Can’t wait! (3) Yay! …list looks better with at least three. Looks like a great book – missed out on the discount code (expired). Still thinking of buying it, keep up the good work. Yes! We just heard good news from the printer, the books are finishing up and on the way :) We’ll announce here at DigWP.com as soon as they’re available. Page 34, section 2.4.7, paragraph 1, sentence 3: The letter “a” needs to be removed from the beginning of the sentence. And now for my question: Since I’ve bought the .PDF, how does it work when the print version comes out. If I want that too, do I buy it at full price or can I just pay the difference? Go problem, month ago i read that Digging2012 discount code will be good till end of december, wanted to buy pdf for christmas. Now i checked and code is outdated… Something changed or im just wondering in unicorn world? 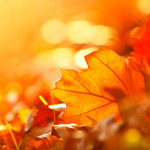 The “Early Bird Special” section above states that the discount is good through 2012-10-12, or October 12, 2012. As a purchaser myself, I can tell you it’s well worth the price, even without the discount. Hi jgod, there was a typo that was fixed a few weeks ago, but if you need a discount code, send us an email and we’ll see if we can help. I bought your book with the email address above and never got updates after that. Can you please help me to see what’s wrong? Hi Francisco, for help regarding the book or account, please send us an email and we’ll help you out. Thanks. I definitely need the print book to launch my photography website! Do you think it will be released before christmas? Printed copies of DigWP are here! Congrats to ThatGuyKC for winning an all-expense paid copy of the printed book! Congrats to all winners and thank you to everyone who participated!